Velo Magazine focuses primarily on cycling and triathlons as well as race reports, training tips, new products and tips for competitive cycling. Velo Magazine recently released their “2012 Ultimate Ride Guide” in which they include reviews of killer new products for both on the bike and off. 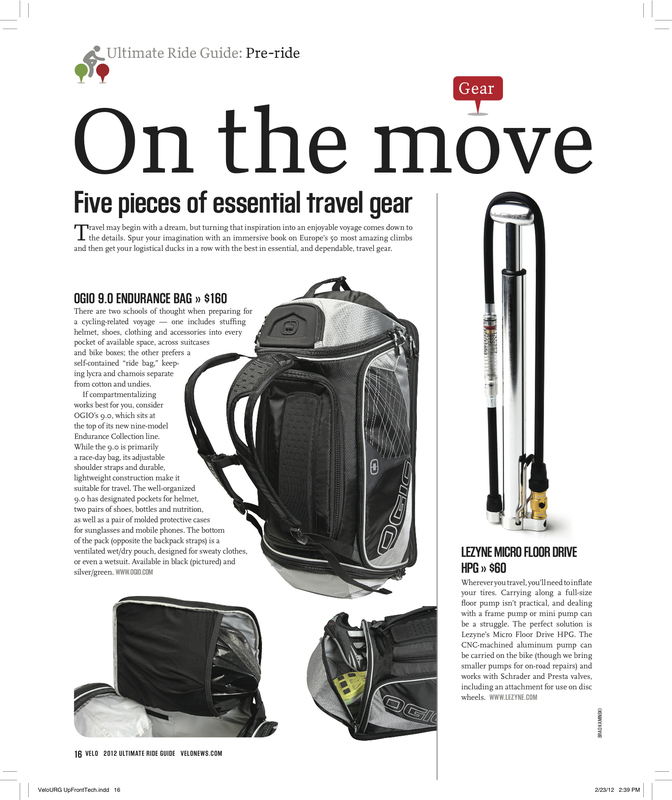 They talked about five essential pieces of gear for travel, one of the five was the Endurance 9.0 from OGIO. Check out how much the loved the 9.0 bag below, click the image to view it full-size. For more from Velo Magazine check them out here. You can also see a video about the Endurance 9.0 here and check out OGIO here.